The National Security Agency, who have been arguing accusations of massive breaches of privacy due to their supposed care about protecting the very national security their name entails, have turned out to be rather insecure after all...thanks to the apparent complexity their own software. 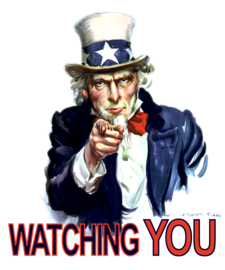 The Washington Post reports that the NSA was told to retain information for a lawsuit from the Electronic Freedom Foundation (EFF), intended to assess the depths of the NSA's invasive espionage efforts, but that the information was difficult to retain due to the need to shut down certain software elements where the data would be contained. Deputy director Richard Ledgett claimed that trying to safely retain all of the information required for the lawsuit would be deleterious to the agency, and would create "an immediate, specific, and harmful impact on the national security of the United States." The EFF maintains that some of the information required for their lawsuit, which deals with the unlawful and downright creepy Big Brothering of American citizens, has already been destroyed. The NSA, meanwhile, maintains massive operational facilities' worth of workers and computer systems in which any of their valuable peeping-tom discoveries could have been "lost."